At Cosmetic Surgery and Dermatology of Issaquah & Seattle, Dr. Victor Michalak offers several cosmetic surgery procedures to help you improve your appearance. 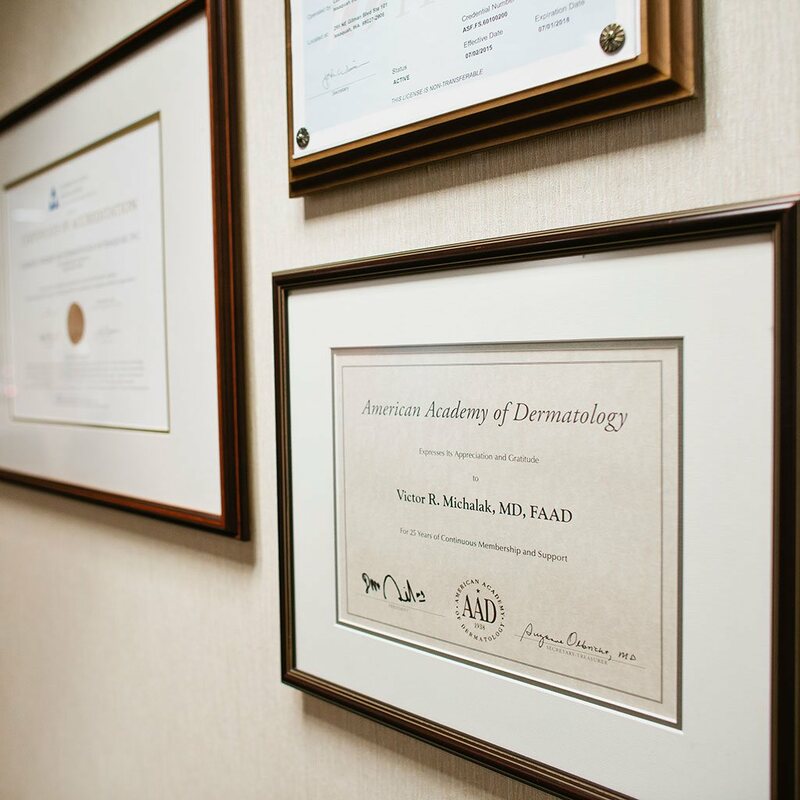 Whether you are looking to remove stubborn fat deposits, add fullness to your lips, or remove bags from under your eyes, among other treatments, Dr. Michalak possesses the skills and knowledge you require from a dermatologic surgeon. Breast Reduction Seattle is a surgical procedure that utilizes skin tightening techniques as well as liposuction to reduce the size of overly large breasts that may be painful or even unhealthy. Dr. Michalak performs a procedure called liposculpture breast reduction, also known as tumescent liposuction reduction mammoplasty. With eyelid surgery Seattle & Issaquah, your cosmetic surgeon can remove the excess skin and tissue on the upper and lower eyelids that may make you appear tired and older. Also known as blepahroplasty, the procedure can also correct excess tissue around the eyes obstructs your vision. Liposuction Seattle & Issaquah is a common fat removal procedure in which a small vacuum-like instrument is used to suction out unwanted fat deposits in many areas of the body. The surgery is particularly effective for slimming down areas that have been resistant to dieting and exercise. Video Imaging is available for a view of what your final results may look like. Laser Liposuction Seattle & Issaquah is a method of fat removal that liquefies stubborn fat deposits, making them easier for your cosmetic surgeon to remove through liposuction. The technique also brings a mild skin tightening effect to promote skin contraction after liposuction. Lip Augmentation Seattle & Issaquah is an injectable treatment in which dermal fillers, like Restylane or Juvederm are injected into specific areas of the lips to make them fuller, shapelier and rejuvenated. If you believe that your lips are thin, flat, small or wrinkled, you may be a good candidate. SmartLipo Seattle & Issaquah uses laser energy and tumescent liposuction techniques to remove unwanted deposits of fat, leaving you with a more slender silhouette. The procedure is perfect for treating small areas, especially on patients who have localized fat deposits but very lax overlying skin. Tumescent Liposculpture Seattle & Issaquah is a popular liposuction technique in which your cosmetic surgeon will first inject a solution (containing lidocaine anesthetic) to swell certain fat cells, making them easier to remove with suction.